The moment you find out that your best friend, sister, brother or someone else very special is getting married is the greatest moment that overwhelms you with joy and happiness. You may start crying, you may start screaming, or you may start celebrating together. But when you find out that this special person wants you to give a speech at his or her wedding, now you are crying and screaming for a totally different reason. Let’s be honest, public speaking is daunting and terrifying for most of us. It is not something we typically do on a regular basis unless you are a professional speaker. Most of the time people do not know how to write a wedding speech, how to get ready for it and often feel very uncomfortable and overwhelmed doing it. That’s why it turns into a stressful experience. You should try to think about giving a speech at a wedding differently. Giving a wedding speech is just you speaking about two people you care deeply about in front of a room of people who feel exactly the same way. It will be a much more positive and relieving thought, right? Speak from your heart, and do not be afraid of looking funny. Besides, by the time people start giving speeches, hopefully, everyone would have at least a glass of champagne. Now if you have never given a speech at a wedding before, we are here to set you up for success with our step-by-step guide on how to write and get ready for the best wedding speech possible. Before you start writing, it is always good to have a quick brainstorming session about what you would like to talk about during your speech. A great starting point is to jot down some stories about you and the groom, you and the bride, or stories about the three of you. Also, write down your feelings towards your relationship with both the bride and the groom. This helps you determine what direction you think you might want to take your speech, whether you will make it funny, heartfelt, etc. Next, record your thoughts about the bride and groom as a couple. Make notes on things they have in common, how they met, what activities they enjoy together, what qualities make them a perfect match, and any other positive aspects about their relationship. Once you have started thinking about all these positive and heartwarming memories and stories, you now have a great collection of content to structure your wedding speech around. You may be well known to the bride and groom, their family, and the rest of the bridal party, but not necessarily the rest of the wedding guests. Start off by saying who you are, and what role you are playing at the wedding. This is a good opportunity to also start off with a joke, you will put wedding guests at ease and in a light-hearted mood from the start of your speech, and it will help make you feel more comfortable and confident. So now they know who you are, but they do not know how you came to originally know either the bride or the groom. The guests probably want to know why you are so important to be giving a speech at this wedding, so share a brief story about how you first met and became friends with, either the bride or the groom. The audience does not want to hear all about you and your relationship with the bride or groom, they came to celebrate their marriage! After talking about how you met, tell the story about how they met and when they first became a couple. Through sharing this part of their history, it allows the audience to feel more connected to the newlyweds. 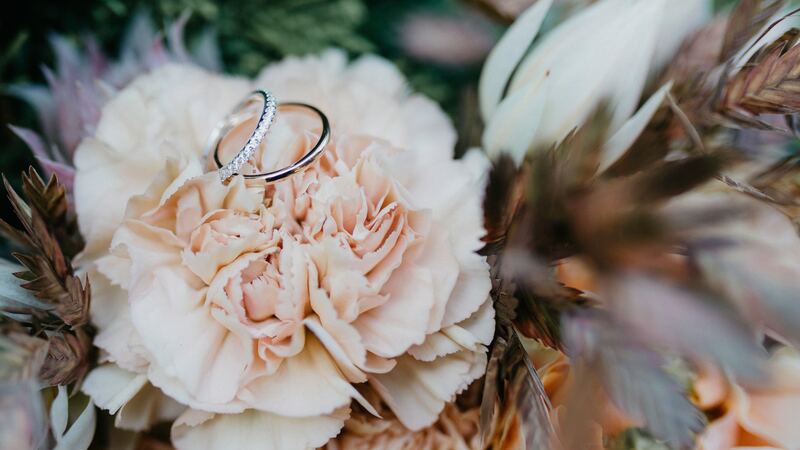 Although, if the bride and groom want to keep how they met private, consider sharing a story that they approve of that comes from the beginning of their relationship. Share something about how you know that they were an excellent match for each other. This can be from any point in their relationship, it is the moment that you knew either the bride or the groom had found their better half. Telling the wedding guests this story adds a warm, personal touch that casts a collective feeling of love, happiness and joy. Now that you are nearing the end of your wedding speech, it is time to shift the focus back entirely to the bride and the groom. Give praises to their love for one another, their beautiful future they will have together, and give advice and well wishes for their life and husband and wife. 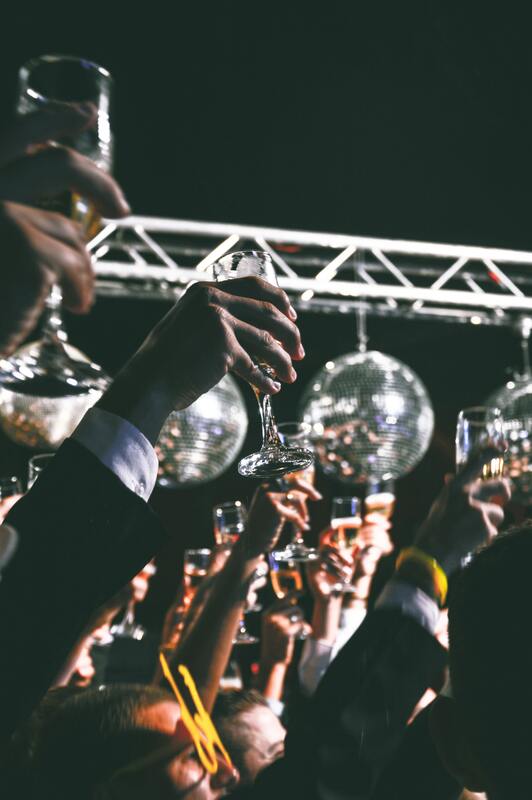 Before you toast the newlyweds, take time to thank everyone who played a part in planning the big day, to the staff working at the event, as well as the guests for attending and celebrating. Everyone loves to feel appreciated, so spread the love on a day commemorating it. Finally, end your speech by asking everyone in the audience to raise their glasses and say cheers to the just married couple. When you are preparing for your big debut, it is crucial to give yourself enough time to write, edit, and practice your speech. This will help alleviate any nervousness that you are feeling about speaking in front of a large audience, and also ensure you give a speech that you, the bride, and the groom will be proud of. Being asked to give a wedding speech is a big responsibility, so it is important that you take the time and effort to do it properly. The sooner you are able to finish the writing and editing process of your wedding speech, the sooner you are able to practice it, that is why it is good to start writing a couple of weeks ahead of time. When you start your first draft, do not focus on how it sounds or how it flows, start by getting all of your ideas down on paper. Then you can use the outline provided in the previous section to piece together your stories and feelings into a speech that is remarkable, enjoyable and easy to listen to. After you have written your speech and have finalized all the edits, there should be about one week left until the big day. By giving yourself a week to practice, you can be assured that you will deliver your speech with confidence. Spend time each day to practice it, you can read it over a few times before bed, say it in front of the mirror when you are brushing your teeth, or while you are driving to work. If you are able to practice it 2-3 times a day for a week, you will feel more at ease and prepared when the moment arrives. Giving a short speech is perfectly acceptable, no one wants to listen to someone go on and on during a long time when people want to socialize and party. An appropriate amount of time for a speech is between 5 – 7 minutes, that gives you enough time to be able to have listeners involved and emotionally interested in what you are saying. When you are delivering your speech, speak slowly and punctuate every word. With enough practice, you will be able to get over all the jitters and nerves that will cause you to speak too fast or speak aimlessly. Tips for giving the best speech! You have written your speech, finalized the best copy, and have even begun practicing, but how are you going to captivate an audience in your presentation? Fear not, we have even more tips on how you can deliver your speech exceptionally well! Nothing is nicer to listen to than a toast straight from someone’s heart. Speak nothing but niceties and praises to the guests of honor, even if you think this to be too boring and expected. Everyone loves to be spoken about in a loving manner, express how much you care about the bride and groom with a loving and sincere attitude. It will make everyone at the wedding feel warm and happy to be celebrating. We have said it before and we will say it again just to drive the point home, there is no better way to give an amazing speech other than to practice it. It will raise your confidence, allow you to fine tune and perfect it, and help to shake off all those nerves. Also, practice by speaking in front of your friends and family, this is a great way to test out your jokes and stories to see how well they resonate with an audience. Craft your speech around a common theme or a particular story so that there is a smooth flow to the delivery of your speech. Having a theme, or a central story gives your speech a structure that is enjoyable to listen to. It also allows you to create an ending that ties your speech together nicely and leaves your guests feeling happy, proud, and filled with love. 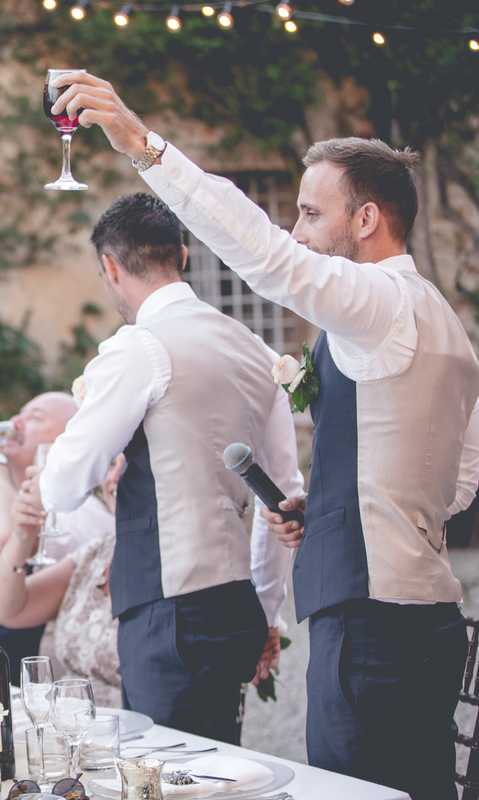 Whether you knew the bride before the groom or the groom before the bride, you are there to toast to the love of the happy couple. It is important that when you give your speech you don’t focus all your stories and memories on just one person. No one wants to hear about only the memories you share with one half of the newly married pair. Focus majority of your time on memories you share with both people, as well as speaking about their love and their future. It is normal to want to make jokes to keep the audience in a good mood, but it is extremely important to not make any inappropriate jokes or tell any embarrassing stories. You were not asked to speak so that you would get a chance to embarrass the bride or groom, you want to spend your time honoring and praising them. Some funny stories and jokes are fine, just as long as they do not make anyone feel uncomfortable or awkward. It is also extremely important to not mention any exes of either the bride or groom or share any personal information that the couple entrusted to you in private. Listening to a slew of profanities during a time that is meant for tasteful language is not something anybody enjoys listening to. Neither is listening to someone drunkenly stutter through a toast in front of a large audience. By keeping swearing and drinking to a minimum, you can feel confident in the fact that your speech will be at its best. Having a couple of drinks before the speech is fine, it helps to put your nerves at bay and aids in providing you some confidence. But drunken behavior is definitely not acceptable, and neither is excessive swearing for any reason. You now have all the information you need to write a great wedding speech, there is nothing to fear! Take an hour to sit down and start writing, you have some great guidelines to get you started, and you will be able to write a heart-warming and fun-filled toast. Honor a couple you care deeply about, and we hope that the speech you give only brings those happy tears and cheers.